Yie Foung is a former Designated Requestor at Live On New York, and currently works closely with donor families. She spoke with Dr. Heidi Horsley, the Executive Director of the Open to Hope Foundation, during the Association for Death Education and Counseling conference. “A lot of my work is working with bereaved families,” she explains. She helps them commit to the recipient, as well as to connect with services and programs to support their own journey in this process. She works with donor’s families who are experiencing the process of solid tissue as well as organ donations. She’s committed to making sure that the donor’s gift of life is respected. The other half of her job is to make sure that bereaved families continue receiving support as long as necessary. Dr. Horsley has experience with donor families, too, and points out that many times the only light families see during bereavement is that their loves one’s donation was able to save so many lives. “Families don’t get a choice of losing their loved one,” Foung says. However, they do have some choice in how they make more meaning from that loss. While there are ways to request having your organs/tissues donated in death, in many cases it’s ultimately the decision of your family. That’s why open, honest conversations about your wishes—as well as having those wishes easily accessible in writing—is so important. 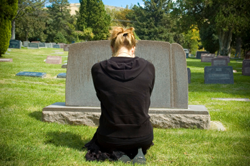 Studies show that families who can make meaning out of their loss experience a healthier bereavement period. These families are joining a large community of “Donor families.” Foung is a registered donor, and says that although it’s tough to talk about loss in the Chinese culture, it was important for her to talk about her wishes.